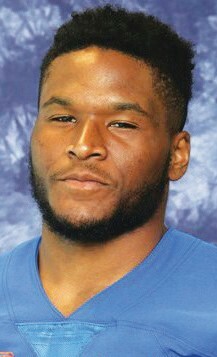 Savannah State senior defensive end Stefen Banks has been named to the 2018 HBCU Gameday Preseason FCS All-American squad. The Columbus, Ohio native made the first team defense. Banks, a 2017 BOXTOROW All-American, finished last season with 71 tackles, 18 tackles for losses, 10 sacks, one interception, one fumble recovery, one forced fumble, one pass breakup and seven quarterback hurries. He also led the MEAC in sacks and was second in tackles for losses.